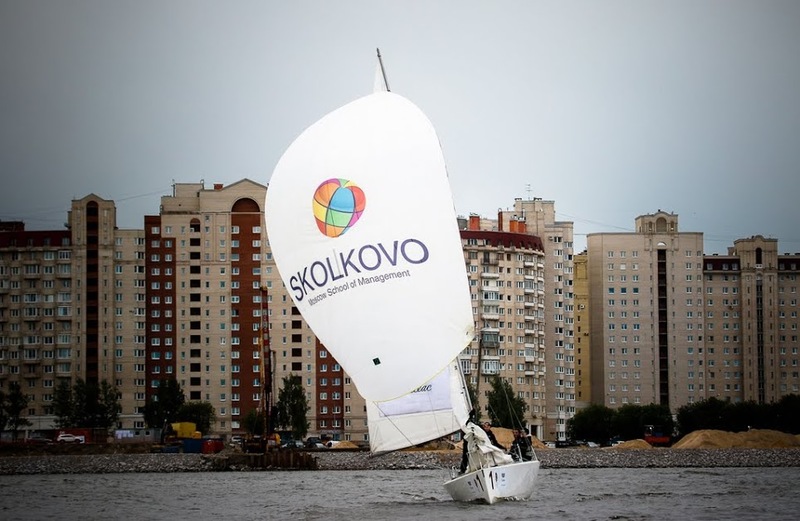 Skolkovo welcomed the ABC regatta to St Petersburg, and proceeded to win a very windy regatta, truncated to just the one day’s sailing. The Russian team, led by Maxim Merzlikin, won two of the five races that day, came second in two more and the onshore games, and discarded a fifth place to win the event with 8 points and the sailing element with 6 points. Three INSEAD teams won the legs that Skolkovo didn’t, with Spyros Papantoniou’s crew taking two firsts, Marc LeBorgne’s taking one and Maarten deVries’s taking the shore games victory. 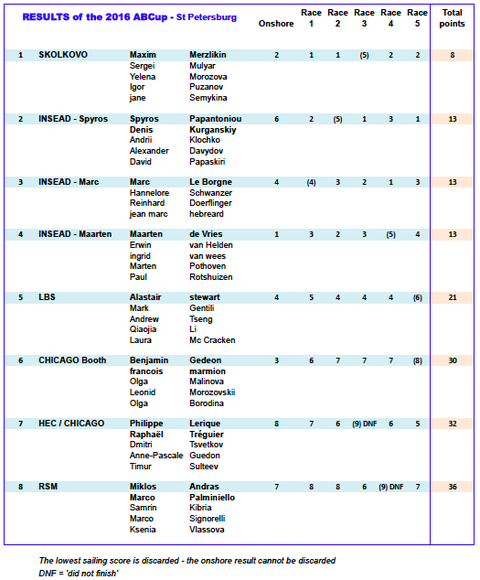 The three INSEAD teams were level on 13 points, with Spyros coming second with more 1st places, and Marc coming third. 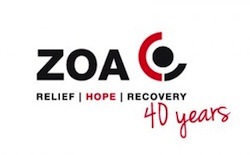 The event, in its 24th edition, took place in Russia for the first time. The Russian weather got the best of the crews on Thursday and Saturday, but racing was possible on the Friday.